• Leaving Cape Town, take the N1 North to the Huguenot Tunnel (CPT-Tunnel=65km). • At Nekkies Holiday Resort, turn left to cross the Breede River Bridge. • Drive past the Robertson Road turnoff and past Aan de Doorns Wine Cellar (Villiersdorp turnoff- Aan de Doorns=6km). 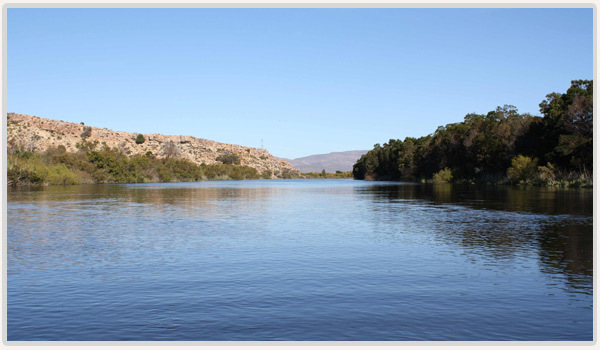 • 5km later, you will cross the Breede River again (not sign boarded). • On the bridge, immediately after crossing over the water, turn left down a gravel off-ramp (sign boarded BONAMANZI ADVENTURES). You will see the lodge on the banks of the Breede River. Follow the gravel road to the house (1km).